Near my studio apartment in the not-yet-up-and-coming neighborhood of West Oakland, California, sits a bus bench with an ad featuring just the words “#FASTAGENT” in black lettering on a white background — nothing else. Its bold design began grabbing my attention earlier this year. I then started noticing other #FastAgent bus-bench ads on my bike rides around Oakland and, curiosity piqued, finally Googled it. 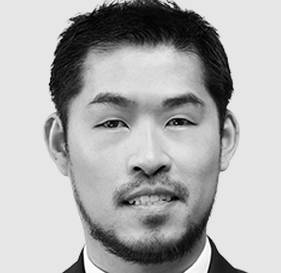 Turns out, Kenny Truong, 30, an agent with San Francisco-based Climb Real Estate, is Fast Agent. Just four years into his real estate career, Truong’s savvy, innovative marketing, ample use of integrated technology and heavy dose of online leads mixed with a business philosophy of “fast and good beats slow and great” has catapulted his business into the real estate stratosphere in the competitive and hot East San Francisco Bay Area market. Truong has been the top buyer’s agent by units closed in Oakland for both 2013 and 2014, and he is in the lead so far this year. With a buy- and sell-side unit count of 49 (and a sales volume of $23 million), he was the No. 3 agent in the combined Oakland and Berkeley markets in 2014. His real estate style evokes a version of the industry’s future where pros merge cutting-edge marketing and technology with teams and coaching to give clients a seamless home-transaction experience on one hand and themselves an efficient workflow on the other. His story may serve as a beacon for other agents looking to give their careers a tech-savvy kick. I met Truong at his office in Oakland’s waterfront neighborhood Jack London Square one morning recently. He had a casual vibe, sporting jeans and an olive green jacket with coffee in a to-go cup nearby. On his desk sat a copy of Keller Williams Realty founder Gary Keller’s book, “The One Thing,” which he said he just finished. He credits it with helping him ignore the temptation to branch out to too many markets and refocus on his core farm area: ZIP code 94607 in Oakland. Map of Truong’s core farm area, ZIP code 94607. Truong works out of Climb Real Estate’s small, high-ceilinged, brutalist-style Oakland outpost, located within a lender’s larger office space. The office is dominated by three monitors on Truong’s desk that glow in the bare space like a spaceship’s control panel — the headquarters where Truong executes his Fast Agent vision. As a young scrapper, Truong made a decision a few years ago that he wanted to work with younger real estate clients and first-time homebuyers at all price points. “I’ll sell anything,” Truong said. Like many top-producing agents, Truong has a team behind him. He has a closing coordinator, marketing assistant and administrative assistant, all of whom work approximately 30 hours per week each. Truong also gets marketing resources and other support from Climb Real Estate, a firm he joined this January. His commission splits are not as good as they were at his previous firm, but the support far outweighs the cost, he said. In addition, Truong has a coach at his back helping him shape his path and reach his goals. He started employing a real estate coach from the Tom Ferry organization in September 2013. “My real estate coach has helped me figure out what my big goals are, how to increase production, and kept me on track by taking small steps towards that business plan,” Truong said. Exemplifying his sense of humor, style and perhaps age, Truong’s previous online persona was “Kenny East,” an homage to rapper and pop culture force of nature Kanye West. He now goes by “Kenny Fast” online. See his profiles on Facebook, Zillow and Trulia. The idea for his “Fast” alter ego and marketing symbol came to him one day in 2013 as he was racing to a sushi lunch with a friend in his BMW M5. Since then, the Fast identity has bled into all areas of his life. Check Truong’s interests on his LinkedIn profile, and you’ll just see one: Fast. He’s thinking of emblazoning “#FASTAGENT” on the side of his Corvette Stingray. Every Tuesday, Truong sends out a pop culture-themed newsletter to more than 6,000 contacts in his database; some feature a custom cartoon he commissions from the design community Fiverr. Last week, the blockbuster movie “Mad Max,” which opened on Friday, led the way. Truong said he spends approximately $12,000 per month on marketing. He allocates approximately $50 per day for marketing his posts and ads on Facebook, targeted to specific groups. One group he markets to on Facebook includes those consumers who visited his website. Part of Facebook’s marketing magic includes pulling the Facebook profiles of those users who visit a particular site. Using this feature, Truong makes sure that anyone who visits his website will begin seeing #FastAgent ads and posts in their news feeds. Truong purposefully posts controversial stories on Facebook to generate engagement and sponsors each one to make sure they’re seen. Some of his on gentrification in Oakland have generated the most response, like this one. Truong said he fuels the rancor in comments at times to get more engagement, sometimes cracking a beer in the evening before getting to work to get loose. His experiment with bus bench ads are relatively new. They first hit the streets in January. For $75 per bus bench ad per month, Truong started with 10. He added 15 more in March and is looking at purchasing an additional 10. Two of Truong’s bus bench ads in action: one in downtown Oakland (left); another in West Oakland, the one that first caught my attention. He likes how they embed his brand in his core market. And, taking me as an example, they work. Don’t just do what every other agent is doing. Figure out what your personal brand should be. Everything you do should be consistent. Follow successful startup and media companies, and watch how they market and brand themselves — even the style of copywriting they use. Examples: BuzzFeed, The Verge, Mashable, Business Insider. Learn to copy and curate content from your social media feeds, and make it your own. Differentiation is the most important element to your personal brand, followed by consistency. Truong estimates that 75 percent of the 49 deals he closed in 2014 came from online leads. He didn’t necessarily choose to focus on online leads, though; part of the strategy was a necessity. 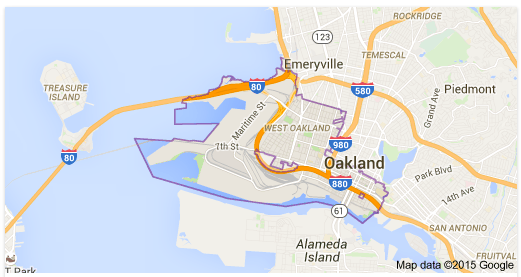 Truong grew up in the vast, hardscrabble region of East Oakland. With no affluent friends buying and selling Bay Area homes and no children that facilitate networking at birthday parties and soccer practice, the organic lead channels open to many agents are not available to him. Given that his background and current social sphere was a dry source of leads, Truong turned his fast-focus to Internet leads, and he has seen remarkable success. Truong spent $2,000 on Trulia in 2014, which turned into $20,000 in commission income. He spent $7,000 on Zillow and made $70,000 in commissions off of clients brought from the portal. Follow up. He has a system that imports every new online lead automatically to his Gmail account. From there, using the tech tool Rapportive, he sends a LinkedIn request to the lead. Offer value proposition and engage. Truong said his cost per Internet lead is extremely high, somewhere between $80 and $90 per lead. It’s worth it, he said, because he has the technology and systems in place to take advantage of a real estate long view by effectively incubating leads. As soon as he gets a lead, he puts it on an automated marketing plan. Leads either sign up for his newsletter or he puts them on a Facebook marketing campaign. He invites each Internet lead to connect on LinkedIn, puts them on a custom search plan using the agent-branded search platform RealScout and uses the follow-up tool Zurple to automatically stay in touch with them. And by taking advantage of Facebook’s sophisticated ad-targeting regime, he makes sure that his brand stays in front of the eyes that the portals have brought to him. Approximately two-thirds of his business in 2014 was on the buy-side, and this year he’s looking at ginning up seller leads by paying for a home value estimate site from homevalueleads.com: fasthomeprice.com. Integrated technology is a key to Truong’s business, allowing him to automate follow-up, nurture leads, immediately respond to inquiries and more. I set up an automatic action to send attachments sent to me in emails through Gmail to my Dropbox account. Thanks to Zillow’s integration with MailChimp and Google Contacts, I never manually input a Zillow lead into my CRM. Truong has specific three- and five-year goals, which ties into his focused, streamlined approach to real estate. In three years, he wants to be known as the new construction expert in Oakland. In five years, he wants to be top agent in the East Bay MLS, East Bay Regional Data Inc.
For this year, he wants to jump his sales volume $12 million over last year, to a total of $35 million.